Henry Street offers internship opportunities for high school and college students, and for professionals and retirees. These provide positive experiences for volunteers and contribute enormously to the Settlement’s programs. 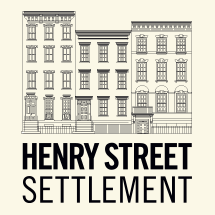 Students studying social work, counseling, nursing and occupational therapy can apply for supervised internships at Henry Street Settlement through their college or university. Volunteer and internship opportunities are available year-round and filled on a rolling basis. Please contact your school’s internship office to apply. Job Categories: Arts and Culture and Other. Job Types: Internship. Job Tags: internship, school, and university. States: New York.